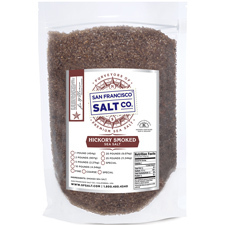 Smoked Hickorywood Salt - 20 lb Bag - Coarse Grain | SF Salt Co.
Smoked Hickorywood Sea Salt is made with pure sea salt that has been slowly smoked above a Hickorywood fire in a centuries-old process. 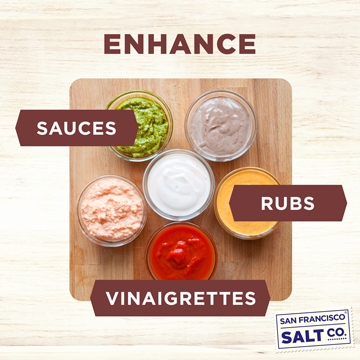 Add Smoked Hickory Sea Salt to your favorite dishes for that robust smoky flavor without any harshness or bitterness. 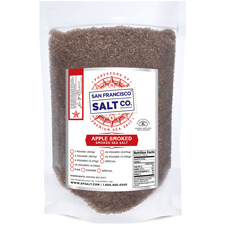 Enjoy this classic smoky flavor and its rich delicious aroma any time with this essential smoked sea salt! 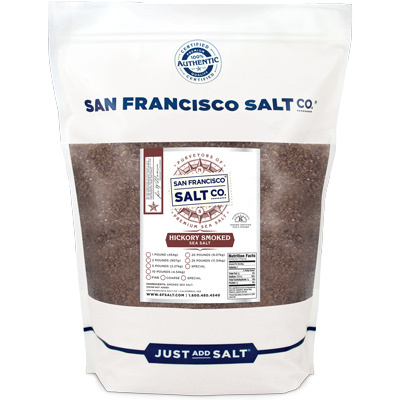 This salt is also available in Fine Grain. 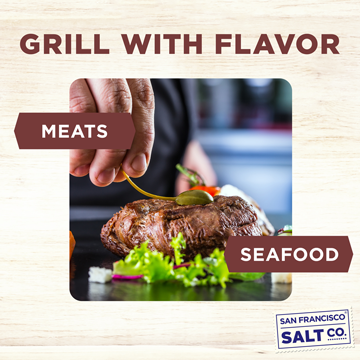 DESCRIPTION - Smoked Hickorywood Sea Salt is made with pure Pacific Ocean Sea Salt that has been slowly smoked above an Hickorywood fire. Packaged in our U.S.A., SQF Quality code compliant facility. PACKAGING - 20 lb. Resealable Bulk Bag. 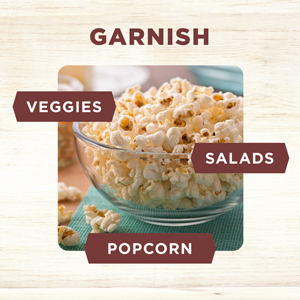 GRAIN SIZE - Coarse Grain (Our Coarse Grain is recommended for use in ceramic salt mills/salt grinders.). 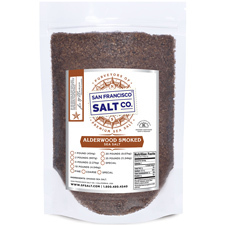 PROPERTIES - Our Smoked Hickory Sea Salt is non-GMO, certified kosher, and does not contain any MSG, soy, gluten, dairy, or anti-caking agents. Crafted in the USA. Enhance the natural flavor of pork and ribs with this smoky delight! 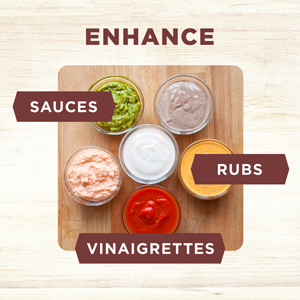 Use as a finishing salt on veggies and salads to completely change the flavor profile!� Sprinkle into condiments to create unique dipping sauces, rubs, salad dressings, and vinaigrettes!